This winter we are taking our Mercedes-Benz G-Class on a ski tour of the Alps. 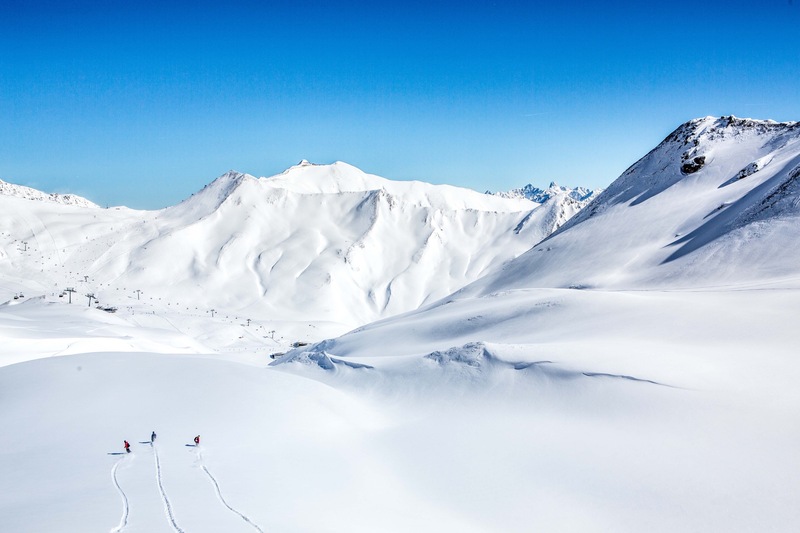 The first trip on our alpine tour is Serfaus-Fiss-Ladis in the Austrian Alps. During the three days there we explored all there is to do, where to stay and wine and dine in this winter paradise. Record-breaking snowfall kept most of Austria in a state of emergency the first weeks of January. Our journey from Munich took a bit longer than usual as all pass roads were closed and we had to divert via the highway in Kufstein. Helicopters were in action to blow snow off the trees next to the highway to prevent them from falling onto the highway under the heavy snow loads. Something I have never seen before in the 30 years+ I have been traveling to the Alps in winter. Equally exceptional was our luck on arrival in Serfaus-Fiss-Ladis. From the highway in Landeck a tunnel brings us to the valley below the ski resort. As we exit the tunnel we are blinded by the rays of sunshine and the sun would stay with us for the duration of our stay. 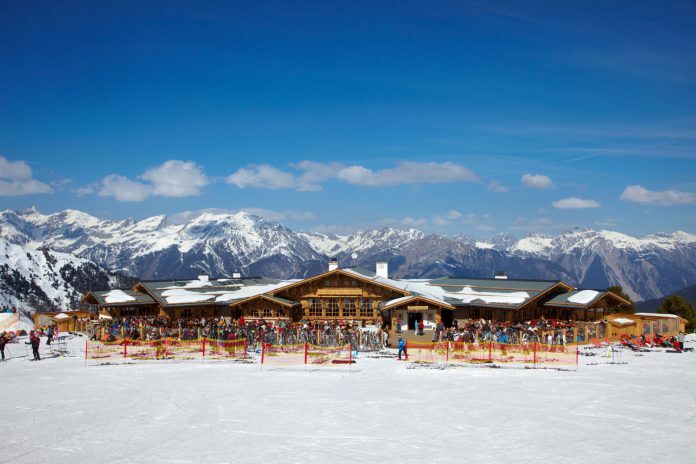 From the main road it is a short blast up the mountain to the three villages which were connected to form the Serfaus-Fiss-Ladis ski resort a few decades ago. We are staying in Fiss at 1,438m above sea level roughly in the middle between Serfaus and Ladis. Fiss is a family friendly village with small roads and many hotels and guesthouses. 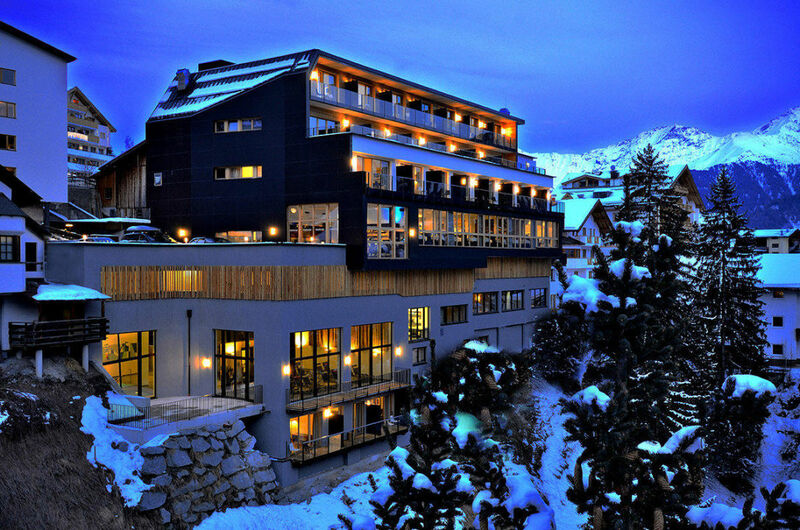 Our hotel of choice is das Marent, a trendy luxury hotel with spa on the edge of town. The first night we spend at the hotel’s pool and wellness area and with enjoying the food at the hotel’s restaurant. With 214 kilometers of slopes Serfaus-Fiss-Ladis belongs to one of the largest ski areas in Austria. To find the best slopes I brought along my colleague and former Finnish Snowboard Pro Hece. The ski area is roughly divided in five areas and valleys. Above Ladis you can find the ‘North side’, as the name suggests these slopes are north oriented and warrant good snow conditions also later in the season and on warmer sunny days. 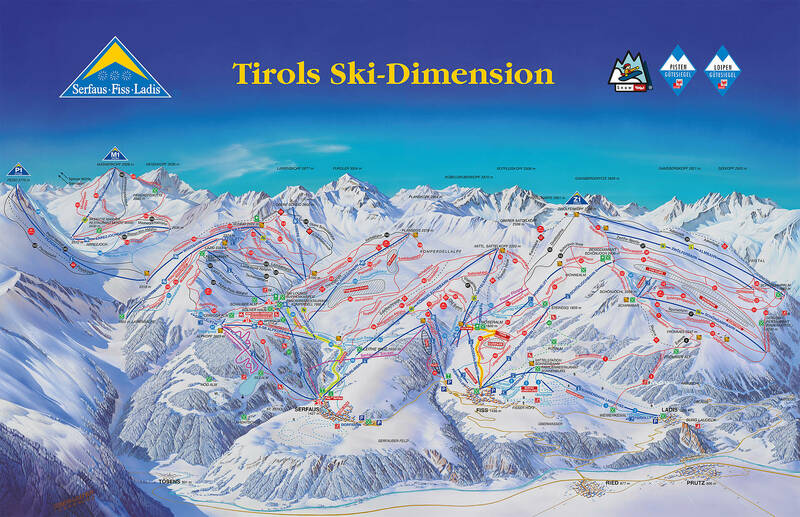 West of it is the main ski area of Fiss followed by the main ski area of Serfaus also known as the Komperdell. From there you can ski the Lazid and Pezid mountains and finally the Masnerkopf, at 2,828 meter the highest point of the resort and the furthest west. Going to Masner is a popular day-trip for many skiers in the area but for our first day we decided to stick to Fiss and the North side. Serfaus-Fiss-Ladis is home to many mountainside restaurants and huts where you can stop for a drink and something to eat. At the gondola stations you can often find a self-service restaurant but I’m not a big fan of these food factories so we went on to find something more unique. The most exclusive place for breakfast, lunch or high-tea on the Fiss-Ladis side is definitely the Crystal Cube; an oversized Rubix Cube of mirrored glass offers the most exclusive location at 2,600 meters for up to 8 people. Reservation is mandatory. On the North side we can also recommend the Zirbenhütte; a traditional mountain hut with fire places and a large sunny terrace. After lunch we decide to check out Ladis and take run number 7 and 8. And oh boy what a joy! A perfectly groomed slope awaits with a combination of some steeper bits and perfect carving stretches. With a big smile on our face we stop at Ladis; the smallest of the three villages. From here we take the Sonnenbahn back to Fiss and pass Bertas Kinderland – ski school and children’s play and practice slopes on a hill between Fiss and Ladis. It is clear that Fiss does a lot to cater for families with small children. From Fiss we go back to the North side to do the Frommesabfahrt one more time before we call it a day. Thursday 10:10 – Masner here we come! Since Masner seems to be all the hype among the skiers in our hotel we decide to check out what the fuzz is all about. From Fiss we go up to the Möseralm passing the Fisser Flieger and Sky Swing, two rides that wouldn’t be out of place in a theme park and can be enjoyed by guests of the ski resort every afternoon. From the Möseralm the Sattelbahn chairlift takes us up to 2,320 meters and from here the Jochabfahrt (Run 80) takes us straight to the Plansegg chairlift at Komperdell. From the Plansegg we can choose if we take the Scheid or Upper Scheid chairlift. We take the quicker Scheid lift and before we know it we are in the Pezid gondola on the way to 2,770 meters. The gondola passes over the Pezid-Vertical slope which is among the steepest black slopes in the area. On the top of the Pezid we can finally catch a glimpse of the Masner area and the incredible panorama that stretches from the peaks beyond the Italian Reschensee to the Swiss ski area of Samnaun. 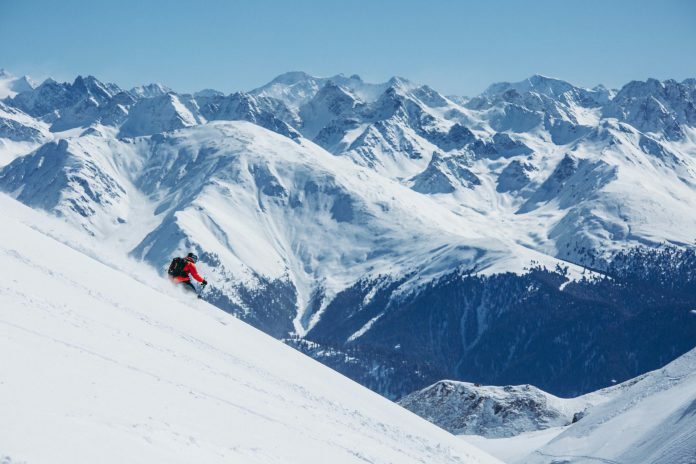 The Masner area lies between 2,372 and 2,828 meters which means the snow is usually in excellent condition and between the groomed and wide slopes of the Masner and the Arrezjoch there are quite a few freeride slopes. For lunch we stop at restaurant Monte Mare. Located in a small building next to the Masner restaurant it is a joy for the senses. It takes little imagination to picture this restaurant on the shores of the Mediterranean. The design as well as the menu wouldn’t look out of place in Antibes or Monte Carlo. Add friendly service and a nice selection of drinks and we found the perfect place for a break. Serfaus-Fiss-Ladis does not have a big name for apres-ski like nearby Ischgl and Sankt Anton. But that doesn’t mean one can’t have a bit of fun. 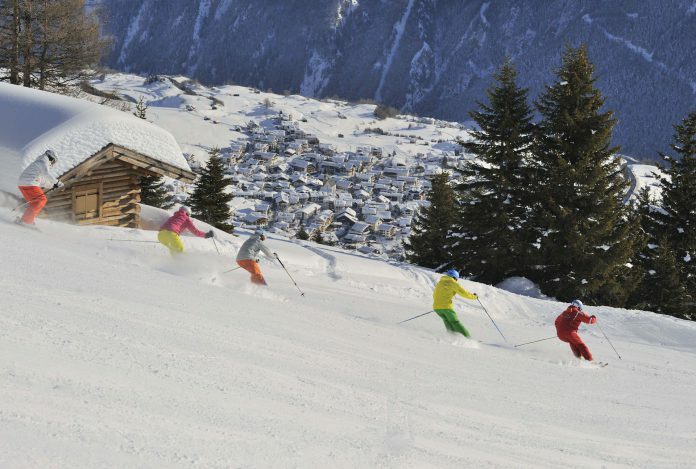 In Fiss the Hexenalm is the obvious choice for some after ski drinks. Later the party crowd moves to Hackl’s Kaller in the village which is open every day until 4am. In Serfaus you can go to BamBam followed by Patschi. Friday 10:45 – Back at it. Our last day in Serfaus-Fiss-Ladis we decide to start with our favorite slope again which is the Frommesabfahrt. Such a great slope and since there is no direct lift (yet) it is pretty quiet on this run. It has been three perfect days in Serfaus-Fiss-Ladis and the sun has been on our side every single day. Before we leave it all behind we ski to Komperdell one more time. Komperdell mountain above Sefaus has the highest density of huts in the entire area with no less than 7 restaurants within a few minutes from another. We go to the Ski Lounge on the second floor of the Komperdellbahn building. That this restaurant is something else you will notice as soon as you walk in and stumble upon a changing room with ski boot heaters and slippers you can borrow for the duration of your stay. It is also the first ski restaurant I’ve come across where they have cloth towels in the bathrooms. The ski lounge itself very modern with floor to ceiling glass windows all around and a fire place. The Tyrollean cuisine served is superb and the gordon bleu is one of the best I have ever had. The hotel shuttle takes us back to the hotel where we quickly change before jumping into the car and heading back to Munich. It has been a great couple of days and I’m sure I will be back in Sefaus-Fiss-Ladis rather sooner than later! 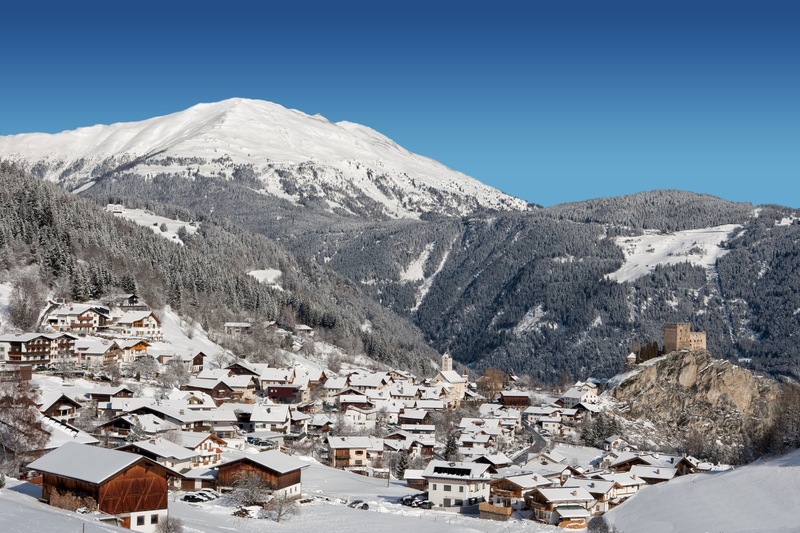 Here are some of our recommendations for hotels in Serfaus-Fiss-Ladis. 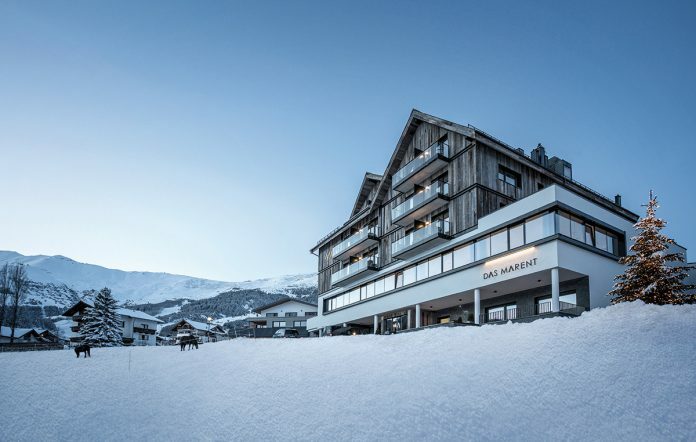 Das Marent – Trendy upscale hotel with shuttle to the lifts in Fiss. The modern rooms and suites all have a balcony. There is a bar and two restaurants; one menu and one a la carte. Bollinger is the champagne of choice. 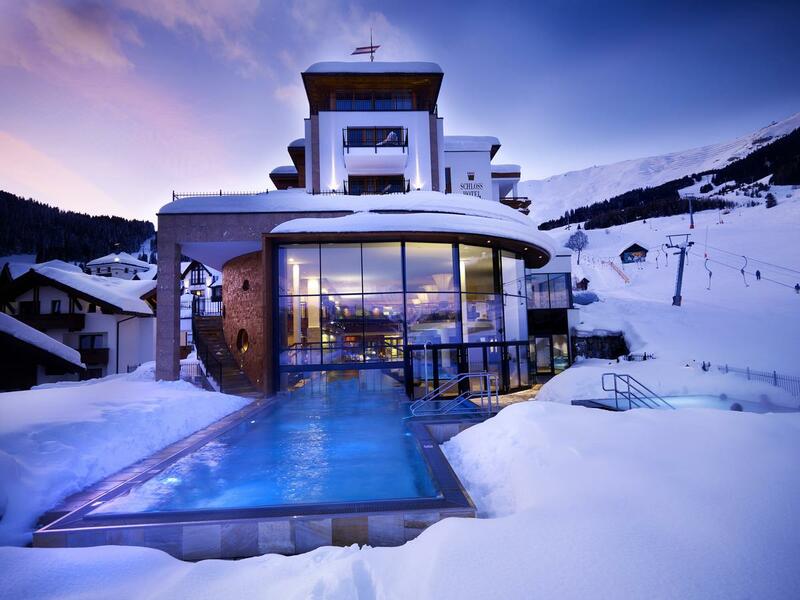 Ski-in, ski-out at the Schlosshotel in Fiss. Located near the Moseralmbahn it provides a heated outdoor infinity pool, 5,000 m2 spa area and classic luxury atmosphere. Modern four-star hotel in the center of Serfaus. Modern rooms and suites with a pool and wellness area. 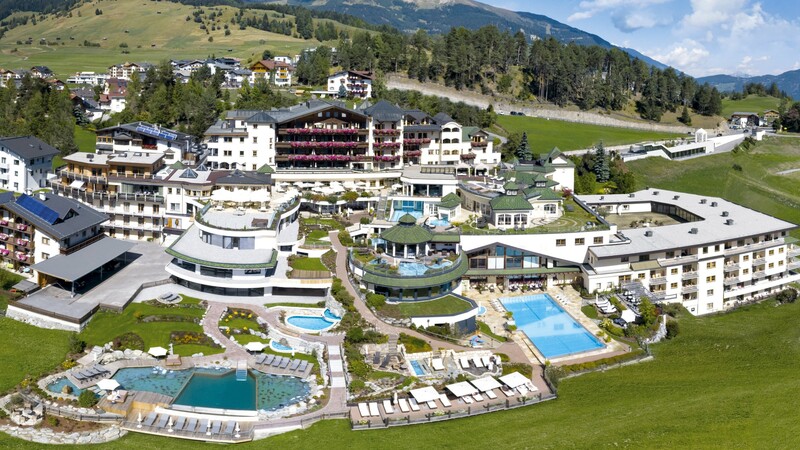 Classic luxury hotel on the edge of Serfaus village. A 4,000 m2 spa and wellness area with two indoor pools. The rooms feature a classic design.